Our swimming pool is available for adult with length 19m & width 6,5m and open at 7.00 AM until 8.00 PM daily. 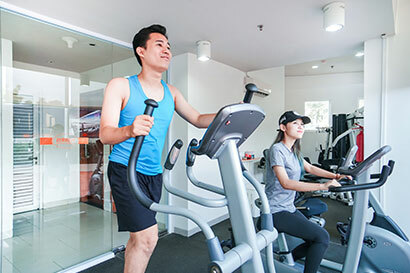 Fitness Center offers everything you need to stay in shape while traveling. 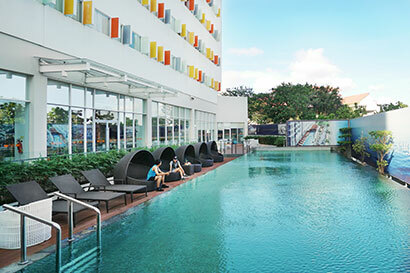 Open from 7 am – 10 pm and located on ground level and easy access to the swimming pool. H’Spa delivers the best of traditional and modern massage techniques to improve blood circulation and ease muscle aches. Prepared to restore energy that was thought to be long gone. Drawn from the expertise of the Master Therapist, indulge in a specially tailored treatment using a combination of massage techniques and tools.